1) NanoVACQ PT logger outside the metallic can. 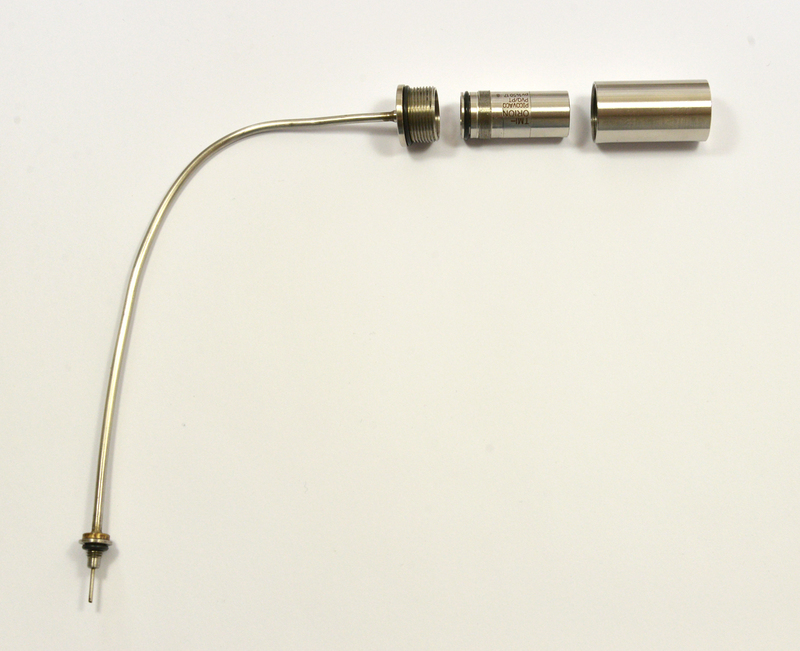 For NanoVACQ Pressure and Temperature with semi-rigid probe, with or without FullRadio option. 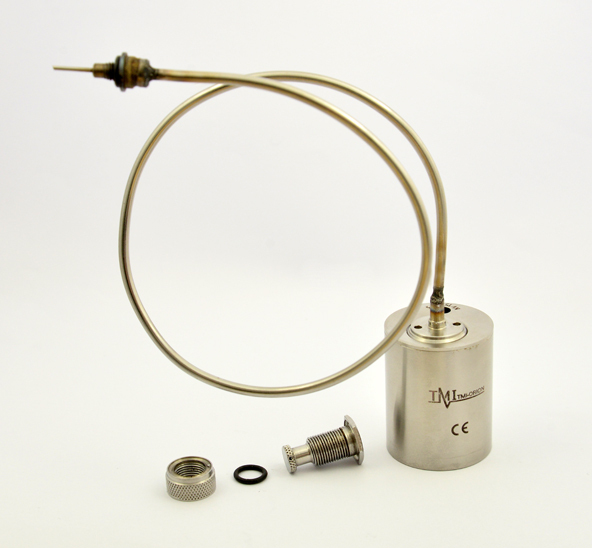 The remote pressure kit for NanoVACQ consists of a pressure sheath, a nut and a watertightness o-ring. 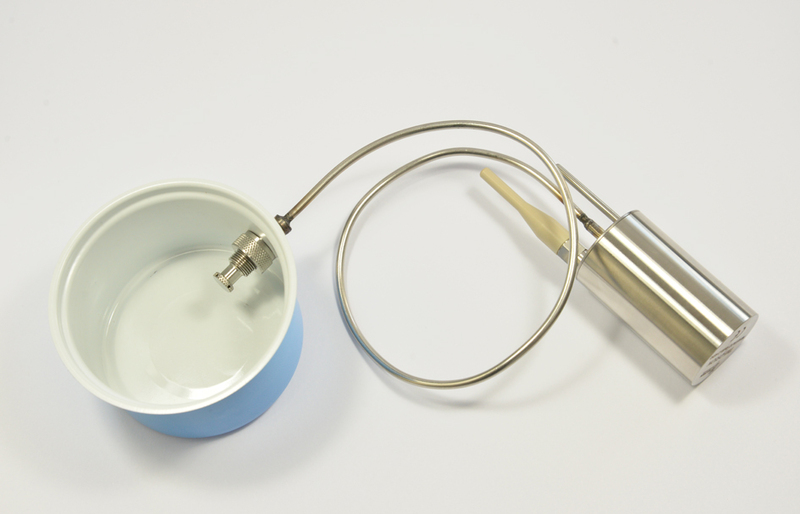 The end of the NanoVACQ PT semi-rigid probe has an open tube and a watertightness o-ring. Pierce the can with a punch. Put the pressure sheath through the hole by the outside of the can. Place the o-ring on the pressure sheath inside the can and screw the nut. Fit the end of the semi-rigid probe in the pressure sheath and screw. Assembly with the Remote pressure kit for NanoVACQ (KIT_PRESSION_D). 2) PicoVACQ PT logger outside the metallic can. For PicoVACQ Pressure and Temperature with semi-rigid probe. The remote pressure kit for PicoVACQ consists of a pressure sheath, a nut and a watertightness o-ring. 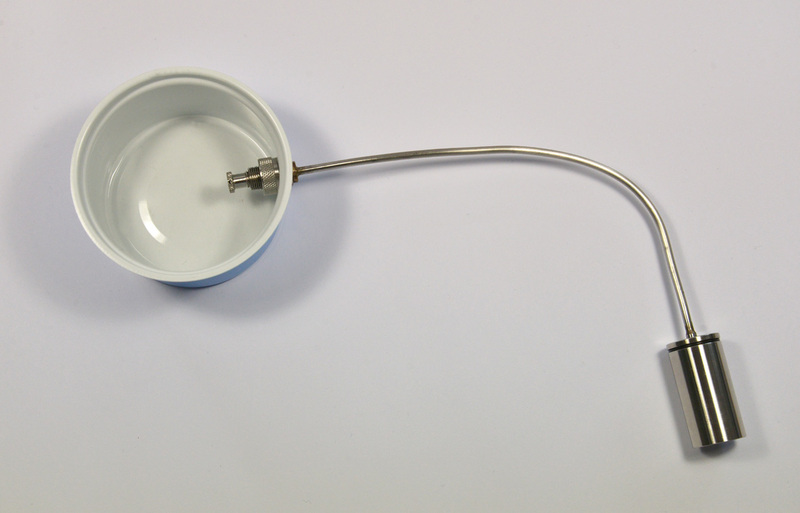 The semi-rigid probe has an open tube and a watertightness o-ring at one end, and at the other end a sheath for the PicoVACQ PT. Unscrew and take out the Stainless Steel sensor protection from the PicoVACQ PT, make sure you do not touch the pressure sensor membrane. Fit the PicoVACQ inside the sheath, and close it. Fit the pressure sheath by the outside of the box. Assembly with the Remote pressure kit for PicoVACQ (KIT_P_DEPORT/PVQ).